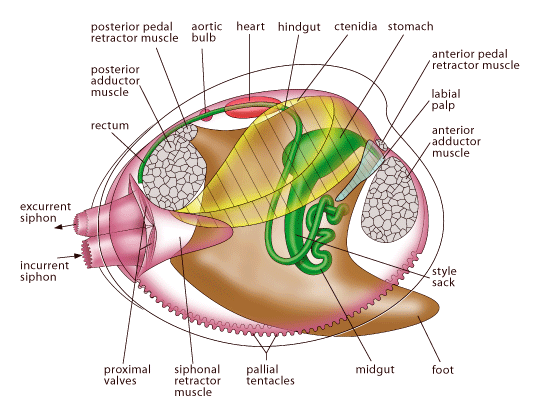 The valve structure and soft anatomy of the bivalves varies among species. 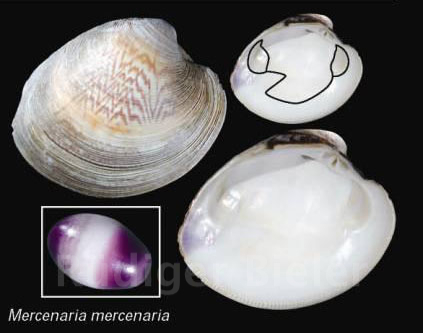 The Hard-Shelled Clam or Cherrystone, Mercenaria mercenaria, is used here as an example of a typical bivalve. More detailed information about bivalve shells can be found here. The external fold, or folds, of the soft, exterior membrane of the body of a bivalve, that secretes the shell and usually forms a cavity enclosing the gills and other organs., which produces and enlarges the shell by secreting new shell material at the free edge. The soft body inside of the shell includes a muscular foot, gills (or ctenidia, used for respiration and feeding), muscles, a digestive system, nerves, a three-chambered heart and an open circulatory system (with sinuses). Some species, such as the Hard-Shelled Clam here, have siphons for directing water flow in and out of the body chamber. 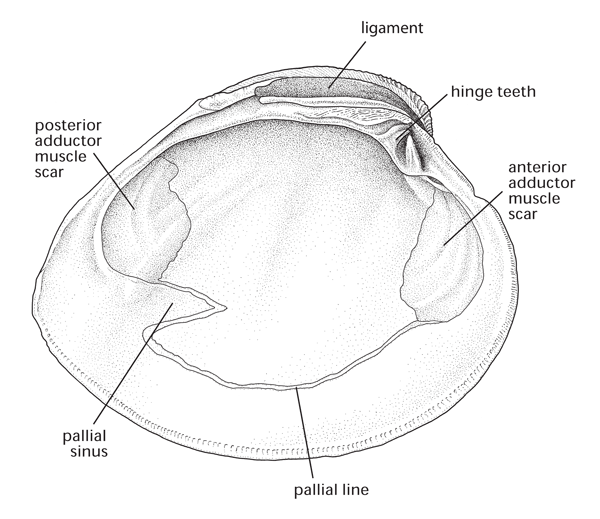 More detailed information about bivalve soft anatomy can be found here. The evolutionary process of losing nonfunctional traits, usually expressed by a reduction in size or function.) during the course of their evolution. One of the main traits of all bivalves is the absence of a head and its associated organs such as eyes, head tentacles, and mouthparts. Scientists believe that early ancestors of bivalves had heads, like their close relatives the snails, but that bivalves have lost the feature.